Quadrant has developed a wealth of learning resources grouped into 12 subject areas. These can be studied for their information alone, or used as the basis of a training program like the B.C. Marine Service Technician apprenticeship. Each unit of study has a 10-question quiz and a study assignment to build understanding of the subject. Our learning resources cover the basics of vessel design, materials, equipment and service or repair procedures. They are presented in the context of the professional boatyard facility, using industry shops, tools, and equipment. Design units outline marine terminology and then focuses on the basics of vessel design as applied to the different types of pleasure vessels seen on the water today – everything from ‘port’ vs. ‘starboard’ to theoretical hull speed. Vessel design is presented in terms of what the technician needs to know about powering, propellers and the consequences of installations or modifications that could impact on the boat’s performance or safety. Understanding and making technical drawings is included. The installations subject area encompasses the huge variety of electromechanical equipment found on even relatively small pleasure craft. Not only propulsion systems, but also living accommodation systems such as plumbing, heating and air conditioning are covered. The 22 units in this subject are designed so that every technician, regardless of specialized skill area, can understand the use and function of equipment that may be encountered in a day’s work and how or why their job may have an impact on these installations. The electrical stream begins with the very basics of electrical theory and then describes electrical installations in modern vessels. The focus here is not to train marine electricians but to give the technician an understanding of electrical and electronic equipment necessary for everyday marine installations and troubleshooting. Common misconceptions and mistakes are noted as well as boatyard shop power safety. The critical areas of low voltage systems safety and adherence to ABYC standards are emphasized. The composites technology stream consists of 18 units covering everything from a basic understanding resin chemistry and reinforcement types to vacuum technology with high performance materials. After a grounding in the use of composites materials, the units focus on specific workplace situations such as gel coat repairs, blistering and fin keel impact damage. The trainee also learns how to build molds and fabricate simple composite structures. The types and handling of wood used in boatbuilding are presented along with traditional and modern boat construction and repair techniques. The focus of our wood units is repair and replacement of wood components damaged in use or by rot, using time-honoured techniques as well as modern vacuum clamping and lamination technologies. Composites sheathing techniques are also covered. The Quadrant program metals units present the important knowledge every technician should have about common marine metals and their handling. Compatibility and corrosion in the marine environment is emphasized. This program is not a welding or fabrication course, but it does describe techniques for metal boat building, basic fabrication techniques and protective coatings. Paint units focus on modern coatings used in the marine workplace and their application techniques. Do’s and don’ts for successful applications of anti-fouling, varnishes and multi-component paints, including masking, hull stripes and paint repairs. A major focus is the importance of manufacturer’s specifications and proper measuring/mixing techniques to the achievement of a successful job. Tools and equipment typically used in a boatyard business – from common hand tools to stationary power tools and compressed air equipment. The emphasis is on proper and safe use, but care and handling to prevent damage to tools is also stressed. This subject area also includes consumables such as abrasives, fasteners, adhesives and bedding compounds specific to the marine workplace. Sailboat rigging is covered in two units that prepare the technician for common boatyard tasks such as stepping and un-stepping rigs, inspection and new equipment installations. The function of standing and running rigging is covered in terms that even a power boater can understand! The seven units in Business Practices cover the basics of boatyard business operations in terms of the marine technician’s unique workplace. From the importance of good communications to project management and environmental protection, this information forms the background for an understanding of what goes on in the office – and how that impacts on the day to day work in the yard. Mathematics is presented as painlessly as possible in terms of the calculations that a competent marine service technician needs to use on a daily basis. The units are focussed on applications of math in a real world boatyard environment, such as mixing ratios, area and volume calculations. Measurement tools and techniques for fitting are also covered. Industrial safety, accident prevention and personal protection as specifically related to the boatyard workplace. 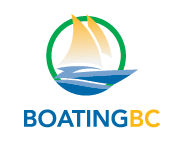 Hazardous materials handling, emergency procedures, fire prevention and how to stay out of trouble working around boats and the water. The emphasis is on the recognition of hazards and the risks of hazards turning into disasters.